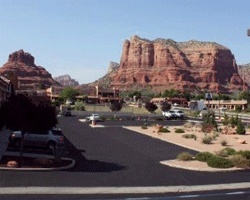 Kick your feet up and relax in the laid-back, friendly atmosphere of this Southwestern hideaway, Bell Rock Inn Sedona. SellMyTimeshareNow.com has a number of wonderfully-appointed properties available at this beautiful Arizona resort for up to 70% off the developer’s asking price. That means you could save thousands of dollars on your annual trip to Sedona! What’s My Bell Rock Inn Timeshare Worth? At the Bell Rock Inn, you'll have a front row seat to the glorious display of rock faces and sandstone formations in the gorgeous Red Rock Country of Sedona. Exploration is encouraged through the rugged landscape of Arizona’s backcountry; whether you’re hiking, horseback riding, or traveling on a Jeep tour, you’ll always see new sights like mountains, canyons, lakes, creeks, and streams. 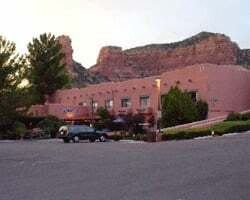 Bell Rock Inn is also close to some of Sedona’s finest cultural attractions, art galleries, boutiques, and novelty stores. Adventure during the day, and look forward to coming home to a tranquil place to stay at night. The beautiful stone accommodations of the Bell Rock Inn feature spacious studio, one- and two-bedroom villas that come spacious and fully-equipped. The villas are furnished with cozy, king sized beds, authentic wood tables, and a kitchen stocked with state-of-the-art appliances. Each room has a wonderful view of the resort pools and the majestic Red Rock mountains that surround the Bell Rock Inn Sedona area. No matter what time of year or what time of day, Bell Rock Inn is encompassed by natural beauty for a nice, relaxing getaway. Don’t wait! Call us today at 1-877-815-4227 to speak with a Bell Rock Inn timeshare resale specialist or fill out the form on the right for more information. When you decide to purchase a Bell Rock Inn timeshare resale, you’ll have plenty of ownership options to choose from. Diamond Resorts offers a variety of fixed or floating weeks available in any season of the year. Owners may also be able to purchase Diamond timeshare points which can be used to book vacation time at both your home resort and at other Diamond Resorts locations. Some restrictions may apply to timeshare resale owners, but that is still a small price for the massive savings you could accumulate by purchasing your property directly from the owner. Avoiding the developer means avoiding all hidden fees and paying for what the timeshare is actually worth! Bell Rock Inn is a Diamond-affiliated resort; resale owners can enjoy all of the renowned accommodations and services offered by one of the world’s most esteemed timeshare companies. Three types of vacation ownership are available under Diamond. THE Club Diamond (the brand’s points-based ownership), DRI Collection/Trust Points (a points-based membership limited to a specific “collection" of regional Diamond Resorts), and deeded timeshare ownership at a single Diamond Resort. 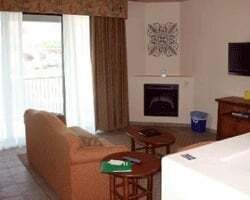 The majority of resale advertisements listed in our inventory consist of deeded timeshare weeks at Bell Rock Inn. Learn more about Diamond timeshare weeks today! One of the most rewarding perks of Bell Rock Inn Sedona Arizona timeshare resale ownership is the ability to purchase a membership to Interval International, one of the top external exchange companies in the industry. For an additional fee, you can become an II member and access their timeshare exchange program, which allows owners to deposit their timeshare week in order to gain access to any of over 2,900 resorts in 80 countries worldwide for a special, one-time vacation. Based on the high quality of the property and reviews left by guests of the resort, the Bell Rock Inn has been awarded an “Interval International Select Resort", giving it a certain level of trading power within the exchange network. At the Bell Rock Inn, owners are completely accommodated to ensure a stress-free, full-experienced vacation. Enjoy services such as the concierge desk which can help you find wonderful restaurants, activities, and special deals on nearby attractions in the area. You can also relax with a full-menu massage parlor, a fitness center, beauty salon, and more. Bell Rock Inn offers two outdoor heated pools and an outdoor heated jacuzzi. Let the family enjoy a nice dip in the pools while you cook up a hot meal in the barbecue areas. The activities department will allow guests some fun activities to keep entertained during down time at the resort. Don’t forget that Sedona is one of the best places in the country to hit the links! Check out any one of the beautifully designed courses in the area, and work on your tan and your short game at the exact same time. Everything is at your fingertips when you purchase a Bell Rock Inn timeshare resale. Already Own at Bell Rock Inn?